Parlanti riding boots Ocala. 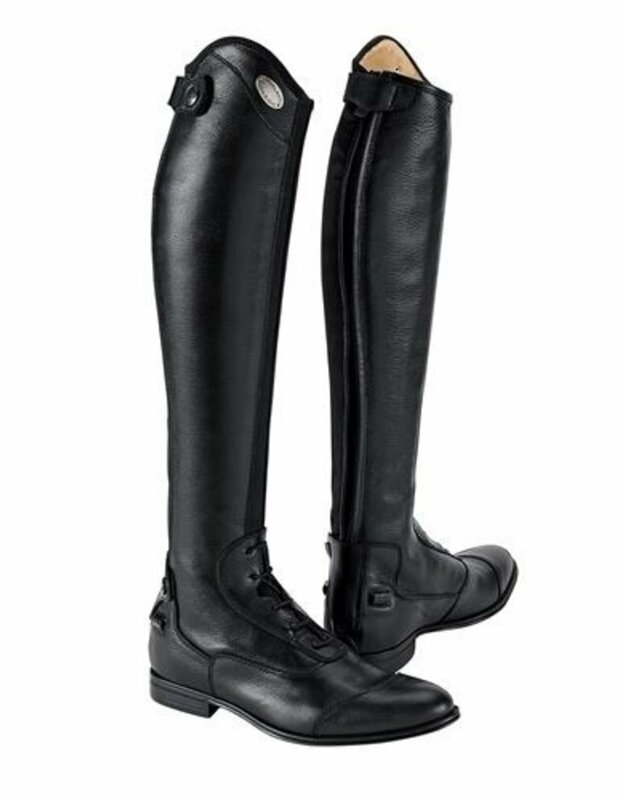 Parlanti Passion Jumping and Dressage Boots are the most desirable Boots to ride with. These Parlanti Ocala riding boots come In black with a laced front and are made of the best buffalo leather offering extra strength, comfort and durability. Eleven EU foot sizes, four height options and four calf sizes will provide the best fit you could hope for. The boots offer: Superior quality buffalo leather. Front elastic laces. Inside lining. Front and back elastic inserts. Back zipper. Spur holders and back zipper protections. Stitched Parlanti Passion logo. Glued/stitched rubber sole.